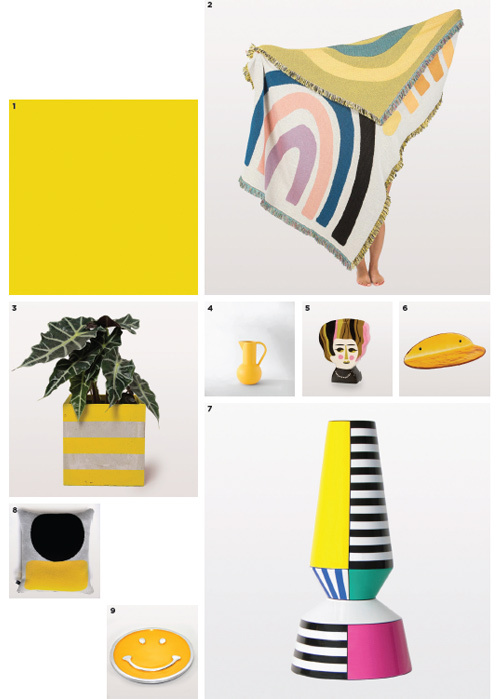 Zoe Anderson has lovingly pieced together a fun collection of fun luxe-living products for the home, which are intended to inject some happy hues into her customers lives. 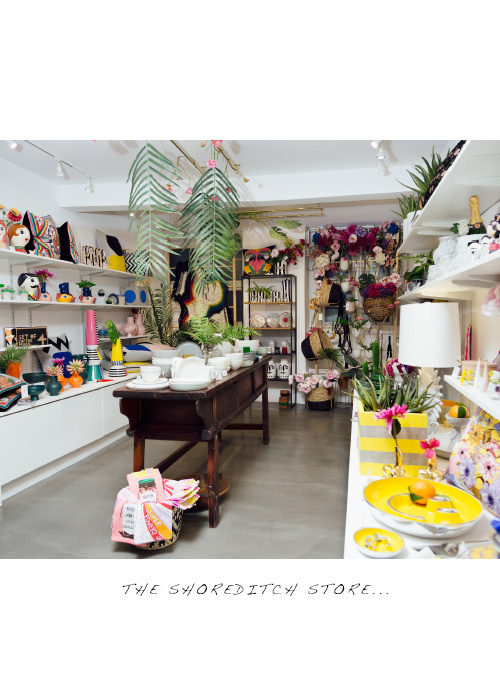 W.A.Green, named after Zoe's grandfather, won Best Boutique at the Independent Retailer awards in 2018, so Zoe know's a thing or two about curating an on-point and highly covetable collection. 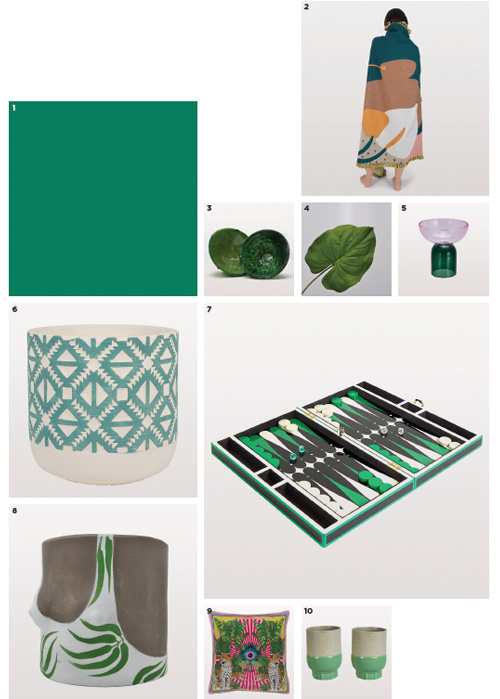 With this in mind, Zoe has been sharing some of her top tips for successfully applying colour to our home decor this year, and has pulled together some key 'looks' from the W.A.Green product collection (see the graphics below). 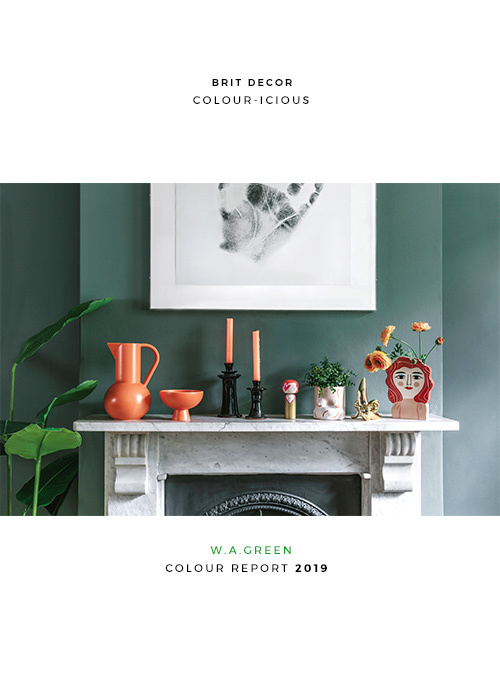 When it comes to introducing orange into our home's colour palette, Zoe recommends limiting this zingy hue's application as an accent colour only, "Think about using it on an alcove or inside a shelf. 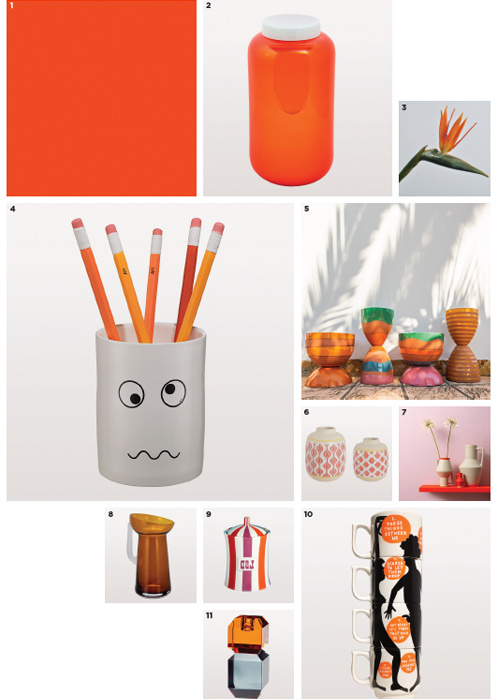 It's the perfect colour for a child's bedroom as you can be really playful with it." Zoe admits that she's looking forward to experimenting with more pink in 2019 (I'm with her on this!) and is currently craving a yellow and pink combination for an extra spark. 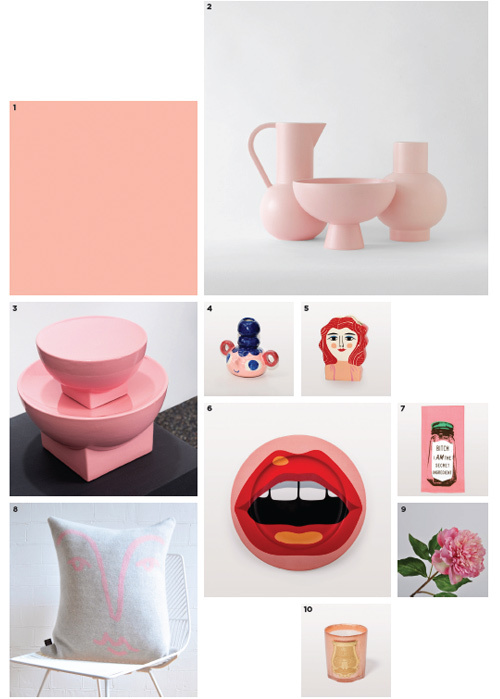 "We've seen Millennial Pink sweep Instagram over 2018 and I'm now expecting to see it used in more playful ways". 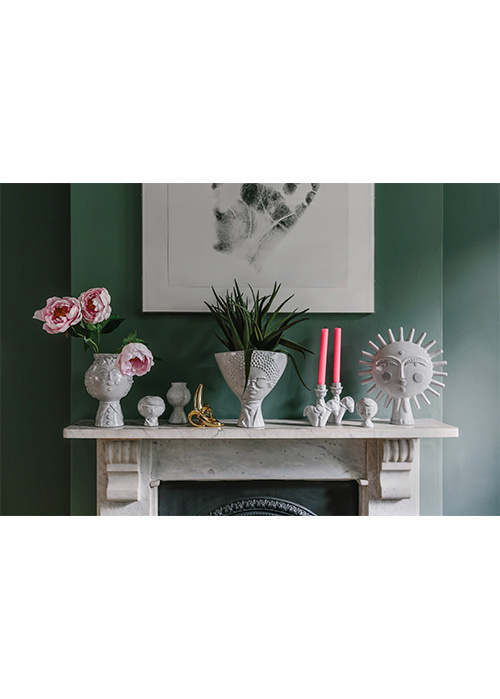 Zoe also suggests pairing pink with super-dark colours for a high-contrast result. 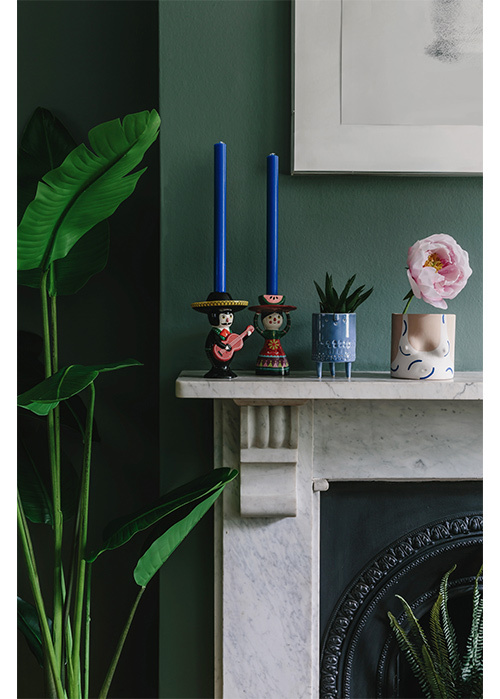 Given the huge proportion of home rentals in London and beyond right now, Zoe also offers up some great advice on how to update a rented space, "Create your own large painted canvas to hang from the walls; the bigger the better. 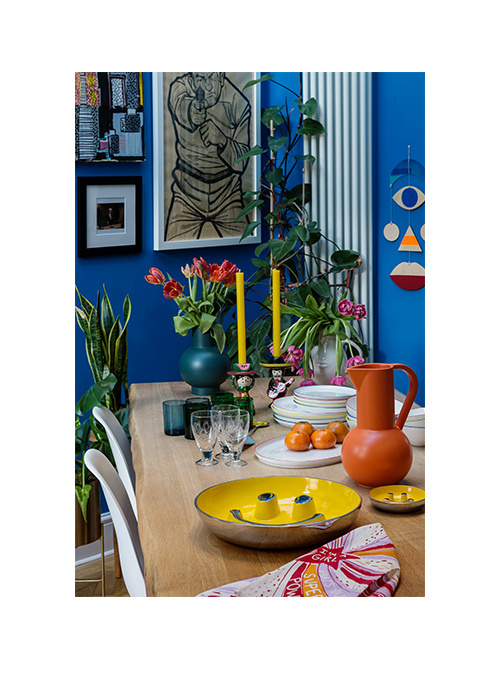 Gallery walls have become overdone so instead concentrate on creating an abstract piece that covers one of the walls and plays with colour. This is a cheap update that pretty much anyone can do without much time or expense". 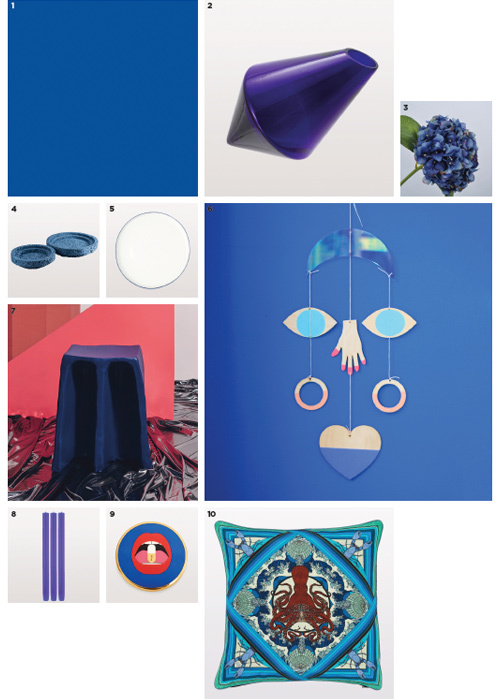 I've included some of Zoe's colour blocking 'picks' below but you can also check out the full range of homeware goodies via the W.A.Green online shop, and you can also follow the store via their Insta account.